Maiko National park congo is the second destination that is hosting the Eastern Lowland gorillas and its not open for Congo gorilla trekking except Kahuzi Biega National Park , find all the relevant information about Maiko National park congo to help you plan your congo gorilla safari tour. 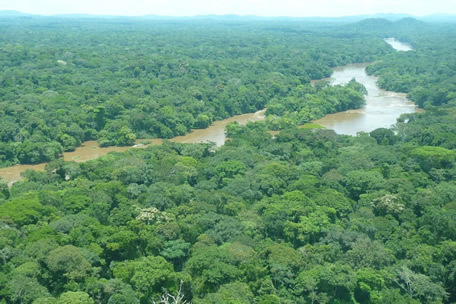 Maiko National Park congo lies in one of the most remote rain forest areas of congo , Covering an area of 10,885 km2 (4,203 sq mi). Maiko National park is divided into three sectors, straddling the states of North Kivu, Province Orientale, and Maniema, this is a clear indication that travelers planning to visit Gorillas in Maiko national park can have safari extensions to cover Virunga National Park & kahuzi Biega National Park for the comparsion of the Mountain Gorillas & the Eastern lowland gorillas in the wilderness of Congo. Among the Top things to see & do in Maiko National park include Eastern Lowland gorillas ( Gorilla Trekking ) Okapi Wildlife Watching, Eastern Chimpanzee and Congo Peafowl which is among the rare Species in Africa. Maiko National Park is 10,400 sq km half way between Bukavu at the Rwandan border and Kisangani. Maiko national park tourism has not yet developed due to the in accessibility of the park and so there is no airstrips, no lodges, and no amenities as per the recent search so, travelers should be ready to stay in the local community with the local tents and eat from the local even if the Congo safari is booked through a congo safari company . There is just one 4×4 track leading from Bafwasende to some small villages within the park. 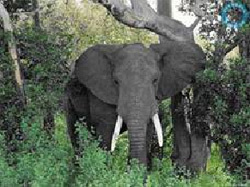 Maiko National Park is managed by the Institut Congolais pour la Conservation de la Nature (ICCN) which, despite the absence of rangers and facilities, is responsible for entry permits. ICCN has control over the park in law, but villages of rebels and native tribes retain control over the park. The first thorough exploration of the Maiko dates back to 1989, when the Wild life conservation society, backed by the ICCN, and supported by the World bank, the European Community and the WWF, moved into the area and surveyed about 950 km of transect Wild Conservation Society further surveyed the North Sector in 2005 The Dian Fossey Gorilla fund conducted the first surveys of the southern sector of the park for over a decade in 2005, and documented a gorilla population more widespread than previously detected from previous studies. A more recent survey focused on the forests west and south of Maiko National park in 2010 revealed that threats had intensified for the endangered Eastern Lowland gorillas and the Okapi , so travelers can book congo Safari is the available option to enable you enjoy a fantastic gorilla trekking holiday in the wilderness of Maiko National Park. 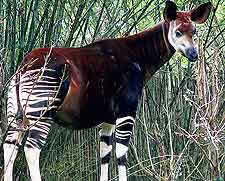 Three of the country’s spectacular endemic animals occur here: the Eastern Lowland Gorilla, the Okapi, and the Congo Peacock. Also Forest Elephants and Leopards. The park is home to numerous endemic & rare species and, almost certainly, many rare species yet to be documented. However, the presence of former rebels who have made their homes in the park, along with illegal mining and poaching means that many species are threatened with extinction. One example, a new gorilla subspecies first documented in a 2005 survey was not found and believed extinct in a 2010 survey. There is just one 4×4 “road” leading from Bafwasende to some small villages within the park. There are some off-piste 4×4 tracks for only the most die-hard overlanders in properly-equipped vehicles can tackle.